I’ve got another online resource for writers today. One of my absolute favorite blogs is Miss Snark’s First Victim. If you’re not familiar with Authoress, the anonymous blogger who brings the internets her vast knowledge of literary agents and all things publishing, you need to get familiar. I’ve been reading her blog for more than a year now and I’m crazy about it. 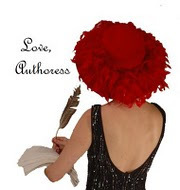 Authoress hosts Secret Agent Contests in which writers can submit portions of manuscripts to anonymous agents who offer critiques and perhaps even representation. More, her blog is a hot spot to chat with other writers at different stages in their careers and the occasional agent. You can also follow Authoress on twitter. I had the good fortune to win a copy of her electronic book, Agent Demystified this week and I read it at once. It’s a great source of information about how to find agents and more, about how to behave toward agents. I wish I had read it sooner—it might have spared me a few of my early mistakes in querying. The ebook is well worth the money, or you can always try and win a copy on twitter like I did. I like winning stuff!